Chris Licht was named showrunner for Stephen Colbert's show. CBS's flagship late night broadcast is getting a new boss from its flagship morning show. Chris Licht, the executive producer of "CBS This Morning" ever since it launched in 2012, will be taking over ""The Late Show with Stephen Colbert" as its new executive producer and showrunner, the network announced on Wednesday. In a move engineered by CBS Corporation CEO Les Moonves, Licht will oversee the entire production of Colbert's "Late Show." For the last six months, Colbert, who is known as a hands-on producer, has largely been in charge of his own show, according to a source close to the matter. 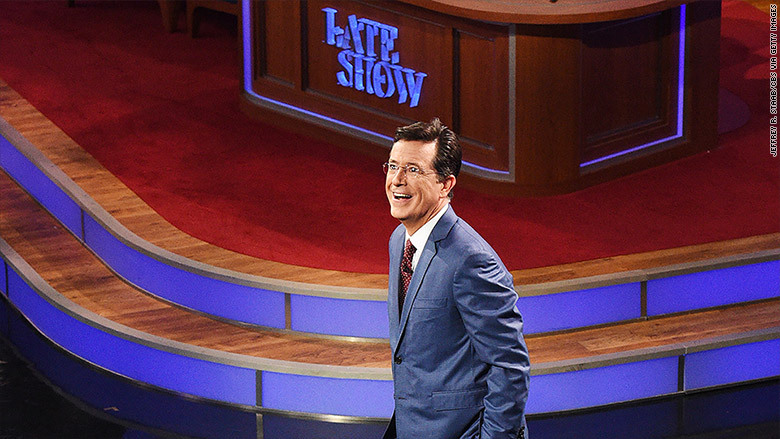 "I'm thrilled Chris is joining us at 'The Late Show,'" Colbert said in a statement. "And I trust someone has told him he doesn't have to get up at 4 a.m. anymore." Licht will also have a second title, "executive vice president of special programming," meaning he'll consult on various programs across CBS. The unusual appointment -- a news producer taking the late night reins -- has the feel of a behind the scenes shakeup. Licht joins the show's other executive producers -- Colbert, Tom Purcell, Meredith Bennett, and Jon Stewart. But with the "showrunner" title, he'll be in charge. It has been almost a year since David Letterman stepped down from his "Late Show" post last May. Colbert took over in September. The rebooted "Late Show" has brought in solid ratings, but at times has struggled to find its footing against its late night competition of NBC's "The Tonight Show with Jimmy Fallon" and ABC's "Jimmy Kimmel Live." CBS says "The Late Show" is the only 11:35 p.m. show to post year-to-year growth in viewers, up 7% over last year when the show was helmed by Letterman. According to the most recent weekly figures which ended April 1, Colbert brought in 2.247 million viewers coming in behind Fallon's 3.3 million audience and edging out Kimmel who brought in 2.240 million. Licht was the co-creator and original executive producer of MSNBC's "Morning Joe." He leapt to CBS in 2011 and created "CBS This Morning," which has markedly improved CBS's status in the mornings. While the network remains in third place behind NBC's "Today" and ABC's "Good Morning America," CBS is much more competitive and well-respected nowadays. Ryan Kadro, one of Licht's deputies at "CBS This Morning," will be taking over as executive producer of the show.